Did you know? Over the last 70 years more than seven and a half million migrants have made Australia their home. Nearly half of Australians were born overseas or have a parent who was. People from over 200 countries make up our Australian community and over 300 languages are spoken in our homes. Apart from English the most common languages spoken in Australia are Mandarin, Arabic, Cantonese, Vietnamese, Italian, Greek, Tagalog/Filipino, Hindi, Spanish and Punjabi. Unley Primary School benefits from a rich variety of culture backgrounds – we have 64 different cultures represented. 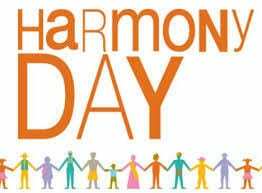 On Friday, the 29th March Unley Primary School will celebrate Harmony Day and the diversity of our students and families. It is about community participation, inclusiveness, celebrating diversity, respect and belonging. Students can wear the colour orange on Friday to show their support for Harmony Day and the continuing message that ‘EVERYONE BELONGS’. We will hold an assembly in our Sports Arts Centre at 2:30pm to celebrate. All parents and families are welcome.